CHICAGO – In a city known for serving up great sights, few settings offer vistas quiet as memorable as the SkyDeck at Lacuna Lofts. Although it sits only five stories above the ground atop a 120-year-old former macaroni factory in the hip Pilsen Art District, the deck towers over its South Side surroundings, thus providing visitors with a unique vantage point from which to enjoy a clear, unobstructed view of the city’s famed skyline across the Chicago River. 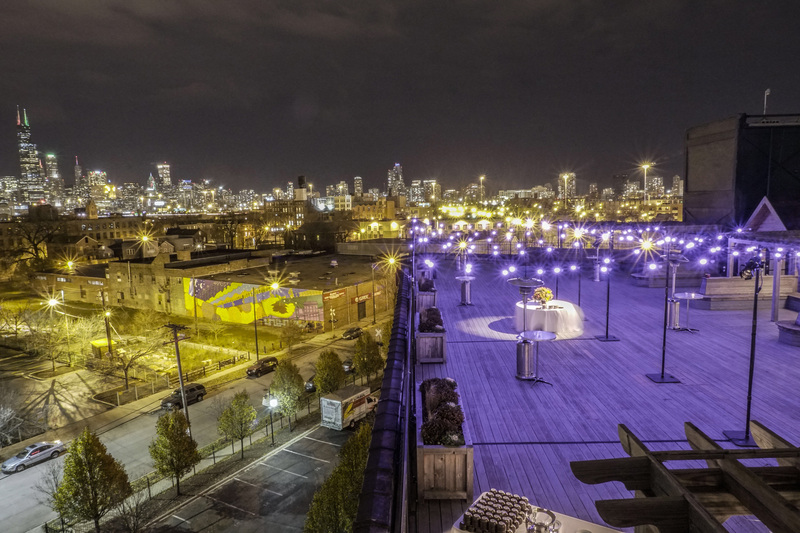 This surreally beautiful panoramic backdrop has made the SkyDeck at Lacuna Lofts one of the most sought-after venues in Chicago for corporate functions, book signings, private concerts, weddings and other events. Sean Denny and the team at Luxe Productions knew they had to preserve this stunning view when they designed an event for Siemens Healthineers, one of the world’s largest medical equipment makers. At the same time, however, they also wanted lighting that would enhance the venue’s elegant flourishes, like its hand-carved wooden furniture, and give the gathering a unique visual signature. They were able to do both with help from the CHAUVET DJ Festoon décor light. The Luxe team used six 15-meter strands of Festoons, each with 20 RGB LED bulbs, in its design. They strung the strands on 10’ high posts to cover the center of the deck floor and also ran them over the perimeter of the rooftop venue. Built-in eyelets on the lamps were used to hang the strands. 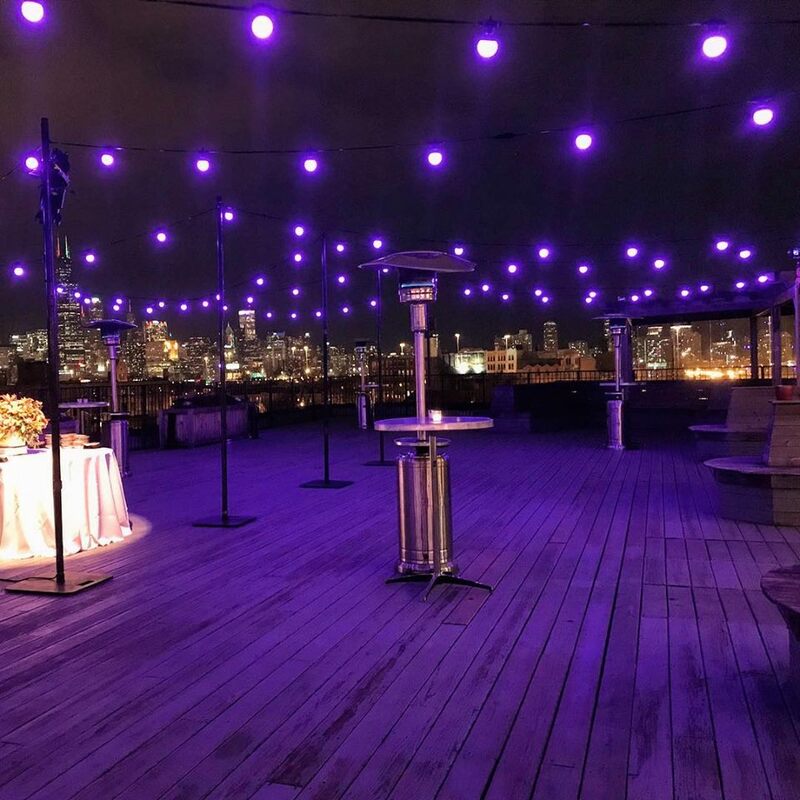 Light from the Festoon fixtures washed the deck in warm lavenders and purples, creating a well-balanced color complement to the dark, but iridescent Chicago night sky. The golden and white glow of the Willis (formerly Sears) Tower and other skyscrapers stood out in striking contrast to this colorscape.